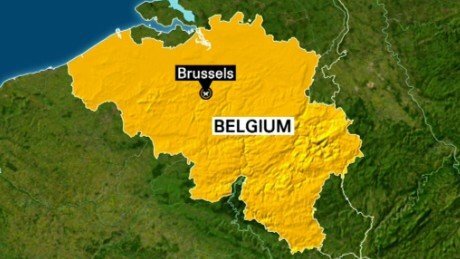 Three days after deadly attacks that hit the French capital on Friday, November 13, all eyes are turning to Belgium, which appears as the starting point of the attackers but also as the crucible of radical Islam have been used for years as the base for the Islamic jihadist movement. This small country of 11 million people located in the heart of Europe, to the floating governance, but the judicial system often touted in France, appears in many heavy issues related to international terrorism. It was in Belgium, where on September 13, 2001, one of the first terrorist was arrested was linked to al-Qaida: the former footballer Nizar Trabelsi, now in the custody of US authorities. A bit skeptical at the time, the Belgians finally admitted that their country was indeed is the heart of European Islamic jihadist networks. Since 2002, arrests showed that Belgium and the Netherlands served as a refuge for French cells of the Al-Qaeda network. Nizar Trabelsi was also one of the main correspondents of Djamel Beghal, the mentor of Kouachi brothers and Amedy Coulibaly. In the 2000, many trials have demonstrated in Belgium and found the recruitment channels for Afghanistan , Iraq , and Somalia with the false documents. Over time , while network services increased , the nature of the problem has changed: while at the beginning , the Belgians or people resident in Belgium were content to provide logistical support , they then started playing main role for Islamic jihadist.